Are you attending the ‘Constructive voices’ panel discussions in November about the 2018 changes to the Australian Code and National Statement on Ethical Conduct in Human Research? Just a reminder these online discussions are free, but you will need to RSVP. Details below. Recordings of the sessions will be available from our subscribers area (https://www.patreon.com/ahrecs). Gary is a member of the National Statement Review Working Group and chaired the committee that drafted the revision to NS Chapter 3.1. 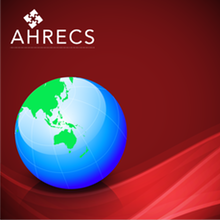 He is the Managing Director of, and a Senior Consultant with, AHRECS. Gary has worked in the human research ethics and research integrity spheres since 1997. He was formerly a member of the NHMRC’s Australian Health Ethics Committee. Gary holds a social science doctorate and a bachelor of education. Jillian Barr is the Director of Ethics and Integrity NHMRC. Jillian’s work involves developing a range of ethics guidelines and research standards including the recently released 2018 Australian Code for the Responsible Conduct of Research, the National Statement on Ethical conduct in Human Research and animal ethics guidelines. Jillian’s team is responsible for providing policy and guidance for Human Research Ethics Committees in Australia and for supporting the Australian Health Ethics Committee. Jillian is also responsible for research integrity matters that relate to research involving NHMRC funding. Associate Professor Pamela Henry is the Director of the Sellenger Centre for Research in Law, Justice and Social Change at ECU. She is also a newly appointed Chair of the ECU, Human Research Ethics Committee. Her role as the Director of the Sellenger Centre has seen her develop an extensive body of research in policing focused on integrity, use of information management systems, human source recruitment and management, use of force, policing those experiencing mental illness, and other programs of research examining the effectiveness of police operational deployment models. She also holds a PhD in Psychology. He has a degree in law and postgraduate qualifications in sociology, criminology and education from Oxford (DPhil), Cambridge (MA, MPhil) and Flinders Universities (MEdStudies) respectively. He has over 90 publications in the areas of criminology and socio-legal studies, higher education policy and practice, and research ethics and integrity. His recent books include Research Ethics and Integrity for Social Scientists: Beyond Regulatory Compliance (Sage, 2015). Wendy Rogers is Professor of Clinical Ethics at Macquarie University and Deputy Director of the Macquarie University Research Centre on Agency, Values and Ethics, with strong interests in healthcare policy and practice. During her first term on the Australian Health Ethics Committee she served on the working party responsible for the 2007 revision of the National Statement. Since 2010, she has been Chair of the working party on the current rolling revision of the National Statement. Her research interests include over diagnosis, ethics of surgical practice and research, transplant abuse and vulnerability. Colin Thomson AM is a senior consultant with Australasian Human Research Ethics Consultancy Services Pty. Ltd. (AHRECS) and a former Professor in Health Law and Ethics in Graduate Medicine, University of Wollongong and positions in law faculties at the Australian National University and the University of Wollongong. He was a member of the Medical Research Ethics Committee of the National Health and Medical Research Council (NHMRC), a member and chair of the Australian Health Ethics Committee and Consultant in Health Ethics to the NHMRC. As a consultant, he conducted training for human research ethics committees (HRECs) in State Health departments in Queensland, NSW, Victoria and Tasmania and in universities in all States and territories; certification assessments for the NHMRC National Certification Scheme and advised government departments in the Commonwealth, NSW and Victoria. He has been a member and chair of multiple HRECs in universities, local health districts, government departments and public sector agencies. In 2018, he was made a Member of the Order of Australia for services to medical research and research ethics. Kandy is the Director, Research Ethics and Integrity at Macquarie University. Kandy has taught research ethics to undergraduate and postgraduate student both in Australia and overseas as well as to ethics committee members. She Chairs a Social Science and Humanities Human Research Ethics Committee. Kandy has been the Chair of the AEN Advisory Group, co-convenor of ARMS Research Ethics and Integrity SIG, a member of the national Code Review Committee established to revise the Australian Code and Chair of the Better Practice Guides (BPG) working group responsible for developing the Investigation Guide.